Motenas Japan offers exclusive luxurious services. Visitors can enjoy the traditional performing arts boasting to the world in the private space. It is a service for executive visitors accustomed to entertainment at first-rate restaurants and luxury clubs. We offer "Omotenashi", the world 's highest standard of hospitality, in the form of "fusion of entertainment with Japanese culture". Managers from overseas branches used Motenas Japan when they came to Japan for incentive trips. The Japanese hospitality representative asked, “I would like to experience something that symbolizes Japan while eating lunch”, so we responded the request and suggested kabuki. In order to clarify the details of the day, we had several meetings with the person in charge. 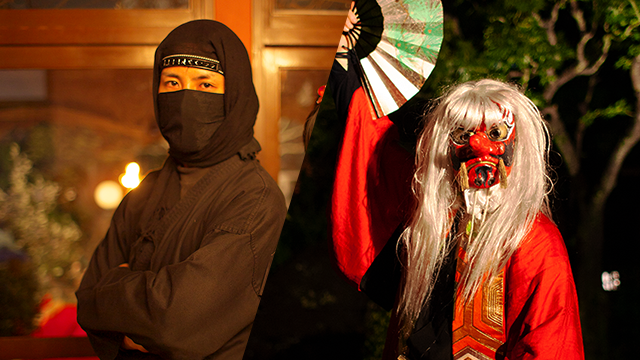 On the day, we carefully planned experiences such as posing like a kabuki actor and made it happen to create memories. 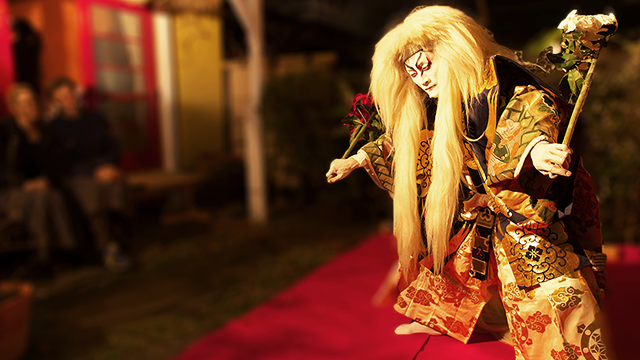 At the finale, we showed off the Japanese traditional Kagamijishi, one of the most popular performances in kabuki. The managers seemed impressed by vigorous kabuki. The person in charge told us, “The managers were satisfied with the show because of the detailed meetings. With the private space, we could experience a more powerful and impressive performance”. It was a moment when good faith correspondence bore fruit. At the request of the embassy, they used Motenas Japan when the royal families came to Japan privately. The request was, “They would like to enjoy traditional Japanese culture”, so we proposed the popular ninja plan for children. On the day, as soon as they arrived at Ebisu’s luxury salon, “Chelsea Moon the Resort”, which is the Tokyo stage of Motenas Japan, ninja jumped out from the middle of nowhere and gave them surprise. They enjoyed the surprise and told us, ”We didn’t expect that ninja would show up here”. After that, they changed their clothes to ninja uniform and practice ninjutsu using a throwing star and imitation sword at the Japanese garden adjoining the salon. They said, “Because we had children, we were looking for something like a moving traditional experience. They gave us the show that we were looking for”. Since we could see their satisfaction, our staffs’ faces glowed with pleasure. At the celebration of the success for the project, they used Motenas Japan. 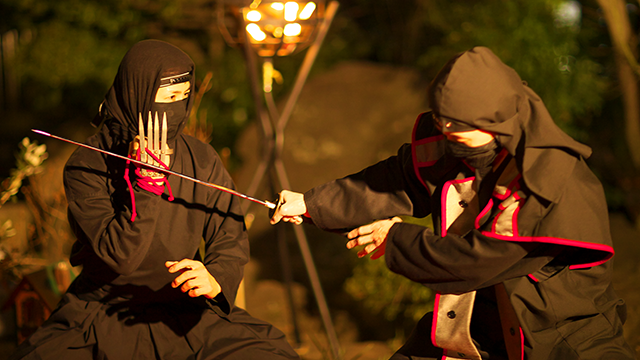 We considered that the attendees would be over 50 large-scale conferences and a congratulatory place, so we suggested a plan combining ninja and traditional Japanese dance so that it would be exciting. The plan was like when the party broke the ice, ninja suddenly showed up and started performing brilliant sword fighting. It was so amazing that the customers cheered. After the ninja show, the second show, traditional Japanese dance, started. The gorgeous dance was so close to the customers as if they could touch; therefore, the excitement reached the climax. The customers told us, “It was very helpful to direct the necessary heat for the celebration. We were glad that we asked Motenas Japan”.